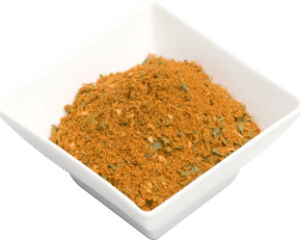 North African Chermula is an aromatic blend of spices from North Africa, particularly used in Moroccan, Algerian and Tunisian cuisines. This delicious blend can be used as a dry rub or can be mixed with lemon juice, yoghurt and olive oil to make a wet marinade or be used as a dip. 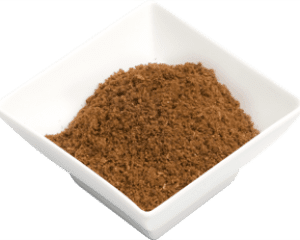 North African Chermula is an aromatic blend of spices from North Africa, particularly used in Moroccan, Algerian and Tunisian cuisines. This delicious blend can be used as a dry rub or can be mixed with lemon juice, yoghurt and olive oil to make a wet marinade or be used as a dip. Toasting the spices before adding to dishes can be a great way to release their natural oils thus creating a more intense and caramelised flavour. Chermula is a delicate and zesty blend of sweet paprika, pepper, cumin, coriander, parsley, garlic, turmeric, sea salt and cayenne pepper. North African spice mixes tend to be less about the heat content and more about creating a depth of flavour. Made from imported and local ingredients including; sweet paprika, pepper, cumin, coriander, parsley, garlic, turmeric, sea salt and cayenne pepper.